While the monster floods of 2015 mercilessly gobbled up villages along the coast of Tamil Nadu, settlements in neighbouring Puducherry managed to escape the fury. Miracle, you say? The East Coast of India is very much unlike its western counterpart both in terms of physiography and climatology. Unlike the West Coast which receives a predictable amount of rainfall within a predictable time frame, the East Coast is entirely dependent on the depressions in the Bay of Bengal to bring in the much needed rain. Due to the absence of a set pattern and the erratic nature of rainfall, the engineers of ancient times came up with a fool-proof solution – constructing tanks to hold the water. Called Eris in Tamil, these large man-made tanks have an inlet to receive water either from a river or from another eri above on one side, and a semi-circular earthen bund on the other. Two types of eris exist--the system eris that are fed by a river or a stream and the non-system eris which are stand-alone structures entirely dependent on rainfall. Hundreds of these mammoth tanks were constructed to deal with the vagaries of depressions and the retreating monsoons all along the East of the Indian Peninsula covering modern day states such as Andhra Pradesh, Tamil Nadu and the Union territory of Puducherry. While some of these ancient tanks have gone missing over the decades, the erstwhile French administration and the UT governments that followed in Puducherry took great interest in preserving these heritage systems. As a result, 84 of the 87 irrigation tanks are functional even today. There is a common misconception that eris are mainly used for irrigating agricultural fields; nothing could be further from the truth. While irrigating agricultural fields is one of the many functions of an eri, it provides a host of other ecological and spiritual services. “If eris were designed only for irrigation, it makes no sense that structures spanning kilometres were constructed thousand years ago to irrigate hundreds of acres of farmlands. The demographics of the time would just not require such massive structures to feed their fields. The engineers of the time planned for much more than just irrigation”, says Raghunath Menon, Secretary of the Pondicherry Science Forum. "Paddy does require a lot of water, but this was a rather recent introduction to the agro-ecology of the region. The traditional millet varieties which were the mainstay hundreds of years ago required very little water, so why these huge structures? ", he asks. Eris are designed to hold water throughout the year, thereby aiding in natural groundwater recharge. When the levels are high, the water is used to irrigate fields. The water is drained by gravity, and hence most of the eris have a dead storage that remains intact throughout the year. Fish culture is one of the main income generating activities with auction prices running into lakhs for many of the bigger tanks. The Bahour eri is usually auctioned out for around Rs. 30-35 lakhs per year, with revenue generation usually running into crores of Rupees. 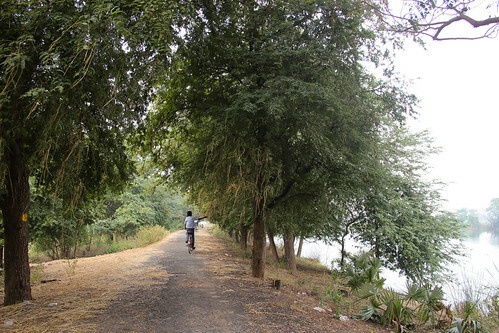 In addition, tamarind trees along the bunds are also leased out, and the revenue is shared between the Commune Panchayat and the tank associations. 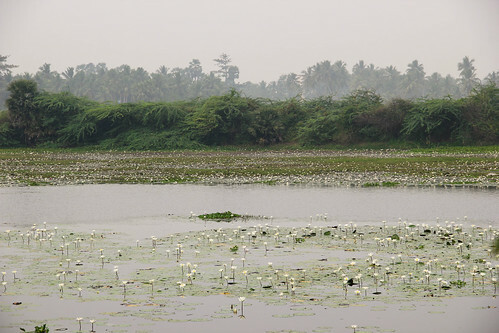 The presence of water all year round also attracts many winged visitors to these areas, with Utchimedu thaangal in Bahour drawing thousands of migratory as well as resident birds. Eris serve as one of the most effective flood and soil-erosion control systems, arresting rain water from gushing out at break-neck speed along with fine top soil. “If not for the eris and their bunds, many of the coastal settlements would have disappeared long ago”, says Menon. 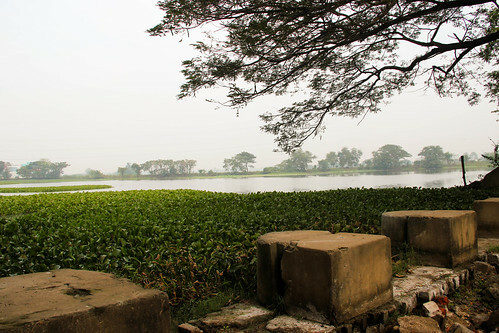 They also serve as reservoirs for the silt brought down by the water flowing through mud channels, a rich source of raw material for potters as well as manure for fields nearby. When an eri fills up, the excess water exits the system through the surplus weir into another tank at a lower gradient. This way, the water is guided and released in a calculated manner, preventing it from washing away entire villages and fields. However, in order to be effective flood control devices, eris need to be desilted and bunds need to be strengthened periodically. The Puducherry government got its act together and designed a special programme in association with the European Union to save its remaining tanks. The Tank Rehabilitation Project initiated in 1999-2000 had to battle two demons: prevent salt water from intruding into the coasts and save the heritage tanks from disappearing into oblivion. Tank associations were formed and repair works were initiated. As one of the first tanks chosen to be rehabilitated, the Keezhparikalpet tank in Bahour was an experiment ground of sorts where an unusual foreshore bund was constructed to prevent flooding of fields nearby in addition to constructing a new bund on the southern end. The Manapet tank was de-silted and deepened while elsewhere, bunds were heightened to increase the storage capacity of the eris. Within a span of five years, over 65 tanks were restored. This probably explains why villages in Puducherry escaped the flood fury in December 2015 while its effects on the neighbouring district of Cuddalore were rather caustic. From being flood controllers to groundwater recharge structures and bio-diversity hotspots, the fact that eris play a vital role in managing the micro-climate of the villages around them is beyond dispute. After having managed to survive the Pallavas, Cholas and the French, the eris of Puducherry now battle a bigger demon: urbanisation. Land use changes as a result of the past decade’s rapid urban sprawl threatens the very existence of these centuries-old tanks. Encroachments threatening the Kirumambakkam tank close by make local headlines on a fortnightly basis. 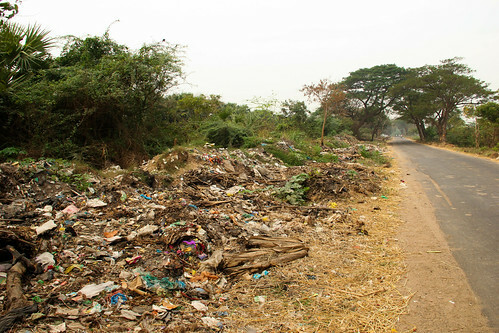 Dumping of bio-medical and solid waste along the tank bunds and water channels is a huge cause of concern. Government agencies need to embrace a participatory approach involving local villagers and farmers in preserving these tanks from further damage. One way to do this would be to re-start the abruptly shelved Tank Rehabilitation Project, responsible for breathing life into several tanks in the region. ‘All for Water for All’ collective, working to protect water bodies in the Pondicherry-Auroville-Villupuram-Cuddalore (PAVC) bioregion, has embarked on a journey to celebrate man’s connection with water through a series of events involving local school children and villagers. Spread across seven weeks starting on World Wetland Day (February 2) and culminating on World Water Day (March 22), the Water Festival travels to different locations in the PAVC bioregion.